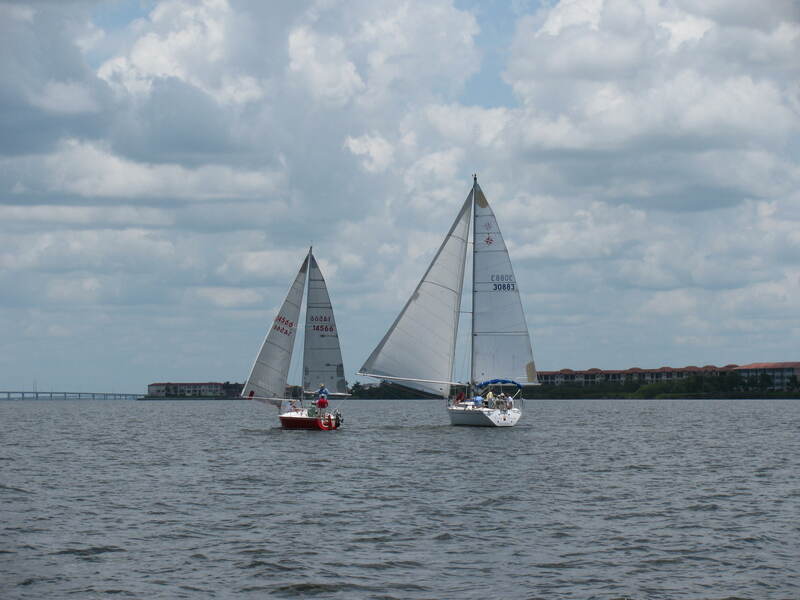 Punta Gorda Florida borders one of the best sailing areas in the state… as a matter of fact, SAIL Magazine listed it as one of the top 10 greatest places in the USA to sail!! What a wonderful place we have right in our back yard! With our temperate climate & sea breezes, every day is a good day to be out on the Harbor! 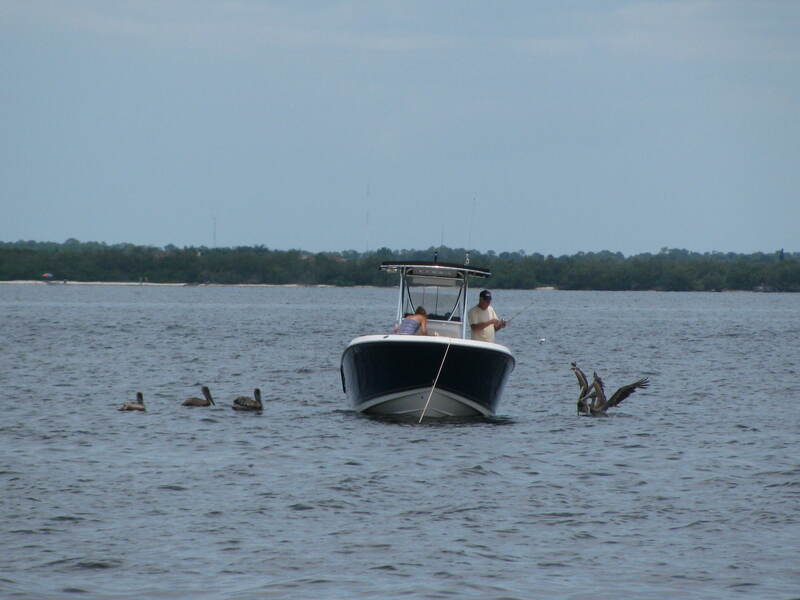 Charlotte Harbor is the second largest naturally occurring bay on Florida’s Gulf Coast. You can spend hours of peaceful sailing over the 129 square miles of protected waters without a lot of boat traffic. Of course if there is more than one sailboat out on the water, it can quickly turn into an informal race!! 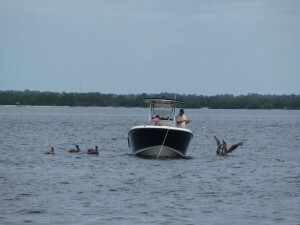 Charlotte Harbor is also an estuary with both the Peace River and Myakka River flowing into it. The wild life that can be seen is incredible! If you keep your eyes open, it is common to see dolphin, manatee, sea turtles, rays & every kind of sea-bird you can imagine, from Roseate Spoonbills to Eagles! I love to watch the Pelicans flying so gracefully, just inches above the water & almost every time we are out for a sail, we have dolphin riding our bow wake! This week we went out for a day sail on our Island Packet 31 – “BAZINGA”. The winds were light, so it was a relaxing day of sailing. We enjoyed watching the other sailboats silently drift through the water & watched as the people fishing around the markers played with the pelicans. The visibility was fabulous that day and we saw quite a few dolphin & I believe one of them was a baby!! It was so cute to see the little body porpoise up on the surface of the water. I will be taking you on many day sails & cruises on these blogs…be sure to check back as there is ALWAYS something happening on the harbor!! If you love to boat, whether it is power boating or sailing, Punta Gorda Isles is a great place to live!! There are miles and miles of canals that will take you out to this beautiful harbor…then on to the Gulf of Mexico. It is so much fun knowing when you step out your back door and head down to the boat, that canal back there can literally take you anywhere in the world!! I would love to help you find your slice of paradise!! Your Suncoasteam is always here to help. We can customize property searches any way you would like & will give you service you may not find anywhere else. You see, we don’t look at our buyers and sellers as just customers….we truly care about them…we call them friends! 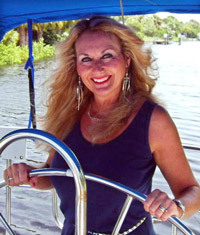 Please click on Real Estate for sale in Punta Gorda. contact Your Suncoasteam @ 941-626-0744 or debra@suncoasteam.com.